The Sunnmore Alps are in western Norway. This is a unique area with majestic peaks and alpine mountain formations rising straight from the sea to a height of 1,500-1,700 metres. From the rugged peaks you can look across a fantastic alpine landscape and then stare straight down into deep fjords. From the coast you can look towards the open sea that stretches all the way to the eastern seaboard of America. 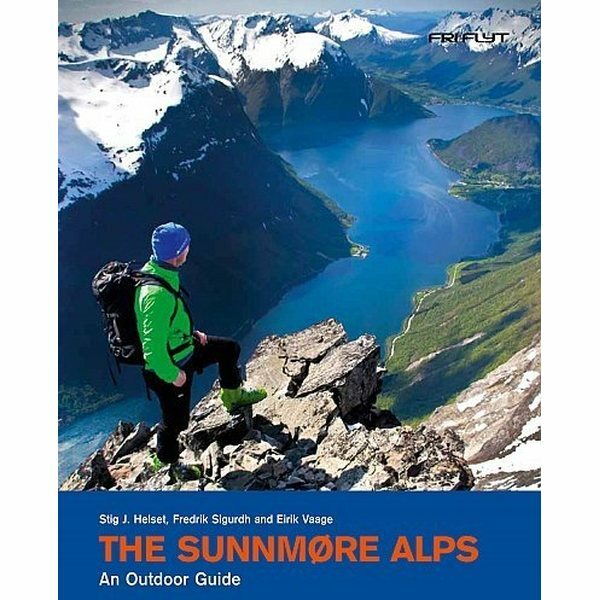 This book gives you all the information you need to enjoy skiing, hiking, climbing, mountain biking, kayaking, surfing, kitesurfing, windsurfing, paragliding, diving and more in Sunnmore. What is so unique about this part of Norway is the huge variety of outdoor experiences you can find within such short distances - within a radius of just 30 kilometers. The contrasts are quite fantastic; from surfing at Stad to kayaking at Runde, climbing in Molladalen, skiing down Slogen, cycling in Valldalen, longboarding in Geiranger, diving in Lygnstylvatnet and para-gliding above the Sunnmore Alps. Each activity is presented in a chapter of its own with five to fifteen trips per activity. We present different levels of difficulty within each activity, from the very easy to the more demanding. You will also find a separate chapter on travel and accommodation in Sunnmore. Tuotteen koko pakattuna tai myyntipakkauksen koko on arviolta 175 x 225 x 18 mm.